A needle and a ball of yarn. Rummage through your mother’s drawers and these simple household tools are sure to be there. But could supermom equipment be put to use to change the fate of hundreds of women of a community? 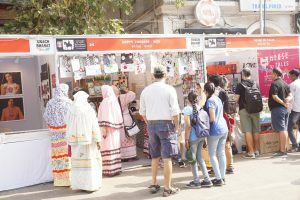 One visit to the Happy Threads stall at the Kala Ghoda Festival in Mumbai will prove that the needle and yarn is no less a tool of change. 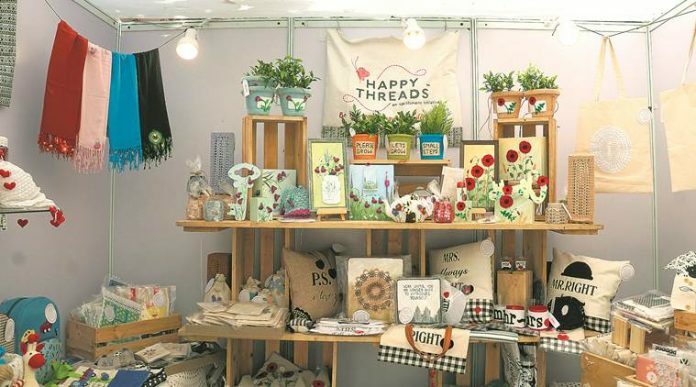 Started three years ago, Happy Threads is a community-led organisation of and by Dawoodi Bohra women that provides women with tools to create handcrafted products and serves as a platform to market, sell and showcase their work. The network of nearly 600 women artisans is present in small towns, villages and cities across the country. 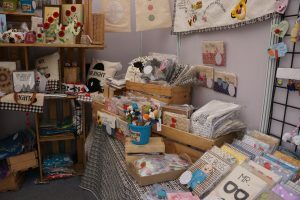 Through the home industry, women do mainly crochet work and produce an array of fashion, decor and gifting products. Tasneem Nooruddin, one of the directors of Happy Threads, says, ‘It was three years ago when our Syedna His Holiness Dr Mufaddal Saifuddin was offered homemade papad by a woman in Burhanpur, Madhya Pradesh and he inquired who had made them. The woman said it was her mother-in-law, who was the bread earner. On further inquiry, he learnt that she made barely Rs 100 a day. He was pained and gave us, the women of his family, a task to find ways of multiplying women’s income. The target was to ensure they earned at least Rs 300 per day,’ she says. Many small industries were set up and an interesting fact came to notice. Most of the women knew how to crochet and even created products like round topis (made of white and gold thread worn by Bohra men) and floral patches for ridas, the two piece loose flowing garment worn by community women. ‘But the women were still working with standard designs and same colour patterns. They had the skill but made products which could be used only within the community and hence the market was limited. That’s when we decided to teach them modern designs, use their skills to create new products and bring the market to them. 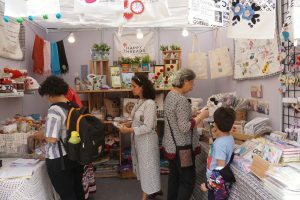 We decided to buy their products and upcycle them to make them appeal to a modern and cosmopolitan audience,’ says Aarefa Nooruddin, another founding member and director. While crochet may be the traditional skill of the women of this trading community, the artisans are now skilled at blending modernity with tradition, creating products for an international market. Rather than buying the same products that the women were making, the organisation’s mentors chose products and designs and taught women through YouTube videos and personal workshops. ‘The local area head would identify the women and call them to workshops where we taught them new designs according to market trends. Many resources are available online today. One good thing that came out of this was that the women in these small towns learnt how to use the internet to learn new skills and stitches, designs and even learn market trends. YouTube videos are a huge boon and the women discovered them. A few among us started teaching them how to mix and match colours and experiment. New patterns were introduced and they learnt to make products consistent in quality and even aspects of pricing. They only needed that initial push, once they gained the confidence then they could experiment with that same needle and yarn, beautiful products started flowing out. Finger puppets for one, they didn’t even know what they were and today it is one the hottest selling products,’ says Tasneem N.